Two members of Oregon's congressional delegation introduced a bill Monday that would open the door to $50 million in federal funding for Columbia River pollution cleanup. U.S. Sen. Jeff Merkley and U.S. Rep. Earl Blumenauer are co-sponsoring the Columbia River Restoration Act, which aims to fund projects that would reduce pollution in the river. The bill authorizes $50 million over five years for an Environmental Protection Agency grant program. However, if the bill passes, Congress still will have to appropriate the money for specific projects. A similar bill was introduced in 2010 but it died in committee. Testing has found toxic chemicals including mercury, cancer-causing dioxins, PCBs and pesticides in Columbia River fish and wildlife. Scientists are also finding everyday toxics from household products are making their way up the Columbia River food chain from the sediment, to resident sucker fish and to the osprey that eat the fish. 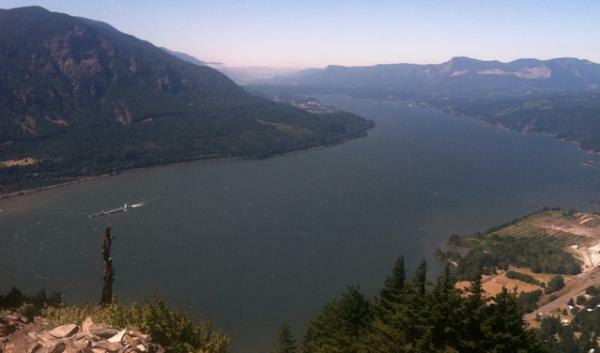 The Environmental Protection Agency has designated the Columbia River Basin as a "large aquatic ecosystem," putting it high on the list of priorities with Chesapeake Bay, Puget Sound and the Great Lakes. "A clean Columbia River is vital to support Oregon's fishing and recreation industries, and to protect the health of Oregonians," Merkley said in a news release. "At the same time, the Columbia River basin is the only large aquatic ecosystem that currently receives no dedicated funding to clean up and monitor toxics, leaving Oregonians exposed to the dangers posed by contaminated water and food." Brett VandenHeuvel, executive director of the environmental group Columbia Riverkeeper, said other water bodies have gotten far more federal funding for restoration. In recent years, Congress has appropriated around $300 million a year for Great Lakes restoration projects. "The Columbia is an incredibly important ecosystem that hasn't received the funding that other designated ecosystems have," VandenHeuvel said. "$50 million won't even touch what some of the other regions are getting, but it will provide some funding for scientific study, toxics monitoring and restoration."